Liquid Sound Design Records is very pleased to introduce the legendary Saafi Brothers as the latest addition to the label. They are formed in the spirit of chillout and dub, and they have a mystical connection when placing with their audience into higher spheres. Their new album “The Quality of Being One” goes deep into soul turning ambient-dub and adds drum thrills that get the tunes rocking. The secret of their "danceable speed" in ambient tracks is a higher density of their unique ambient-electro sounds and rhythms to experience feelings through their deeply emotive music. Starting with deep intros and then merging atmospheric filterworks into dubwise beats for the floor that can be specially experienced in their live performances. 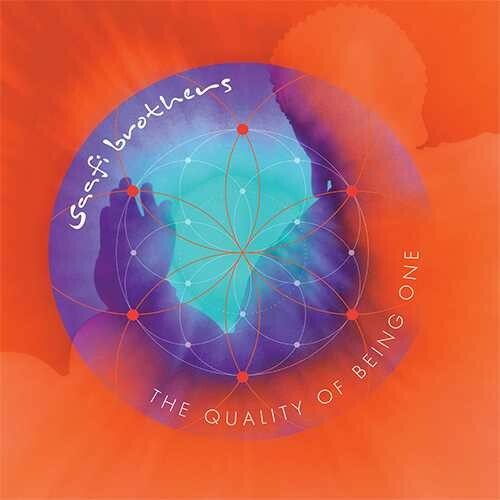 With “The Quality of Being One” the Saafi Brothers take another really strong view into experiencing the mystical oneness of being in unity and brotherhood that we could live in. Their 6th album is about acoustically capturing blissed out dub beats and tranquil ambient sounds, transporting quality that's almost hypnotic, more than a fleeting electronic moment and shows how minimal decent dubby tracks can be. Magic atmospheres are the elements of these audiophonic voyages if you like tunes that can tell stories.